St Andrew’s, Whissendine, is one of the largest churches in Rutland. Its impressive 100-foot tower can be glimpsed across the rolling countryside from miles away. The church is built of local Barnack stone, with a spacious interior. The earliest parts of the church date from the 13th century and extensive building work in the 14th century doubled the height of the roof and added the tower. A later Victorian restoration and refurbishment was overseen by Sir Gilbert Scott. 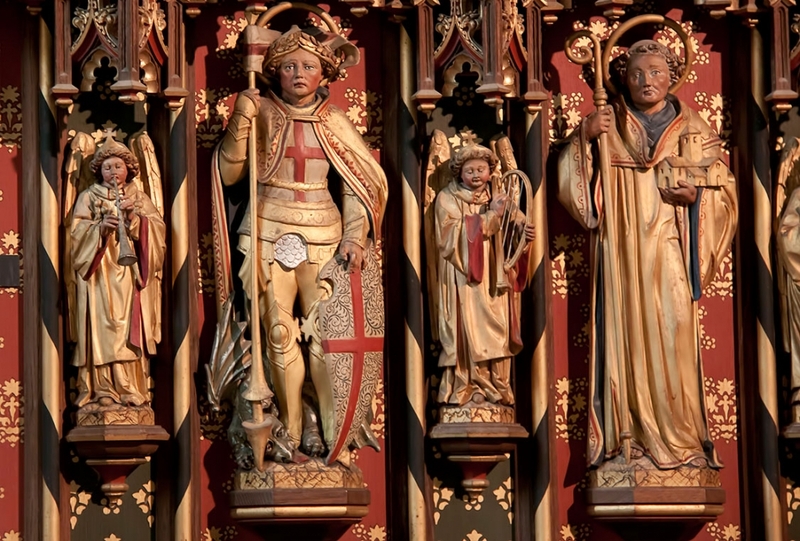 Notable features include numerous carved ‘gargoyle’ heads, and a medieval wooden screen which was imported from the old chapel at St John’s College, Cambridge. St Andrew’s Church is a well-loved and well-used building in the heart of the village with a very active congregation. The church is served by the Oakham Team Ministry, Diocese of Peterborough, which includes All Saints Oakham and the churches of nine surrounding villages. The Reverend Deborah Marsh is the vicar for Whissendine, having arrived in the village in 2018. For a monthly list of services at St Andrew’s, please click here. If you know of any children who might like to attend Fishes Club, the new and exciting Sunday School at St Andrew’s Church, please click here. Click Visit St Andrew’s Church if you are interested in the history of St Andrew’s and fancy a visit. This fascinating article, penned by a Leicestershire-based enthusiast and illustrated with glorious photographs of the church, is reproduced with kind permission of LeicesterPhoto. If you are interested in what the future holds for St Andrew’s church, do read the Growth Action Plan. For news and blog items relating to the church, click here. If you are interested to trace your family history or you are researching local families, click Genealogy for downloadable church records of baptisms, births and marriages dating back hundreds of years. encouraged to know and serve you. May we grow in faith, numbers and in love and care as the family of God. We pray in the name of Jesus, our Lord.